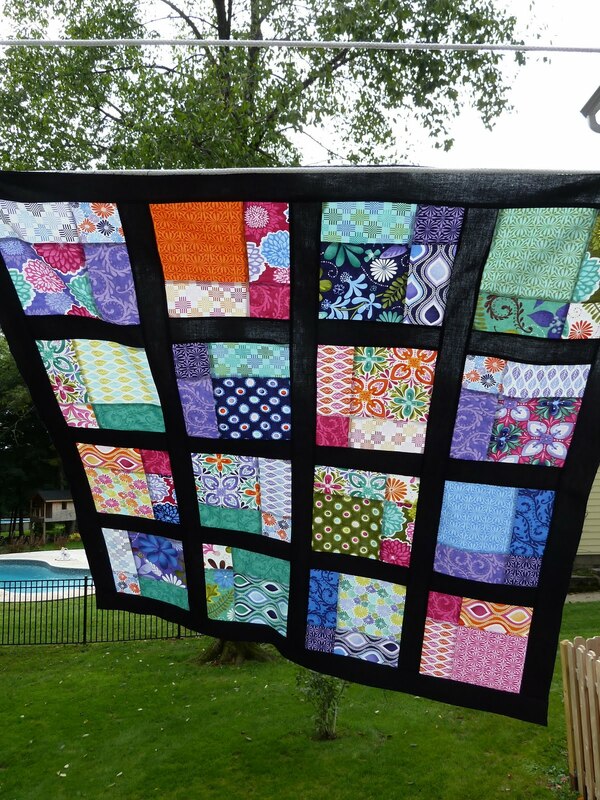 This weekend is devoted to my 100 Quilts for Kids quilt. As of last night this is what I had done.. This is what i'm looking at as of lunchtime on Saturday! 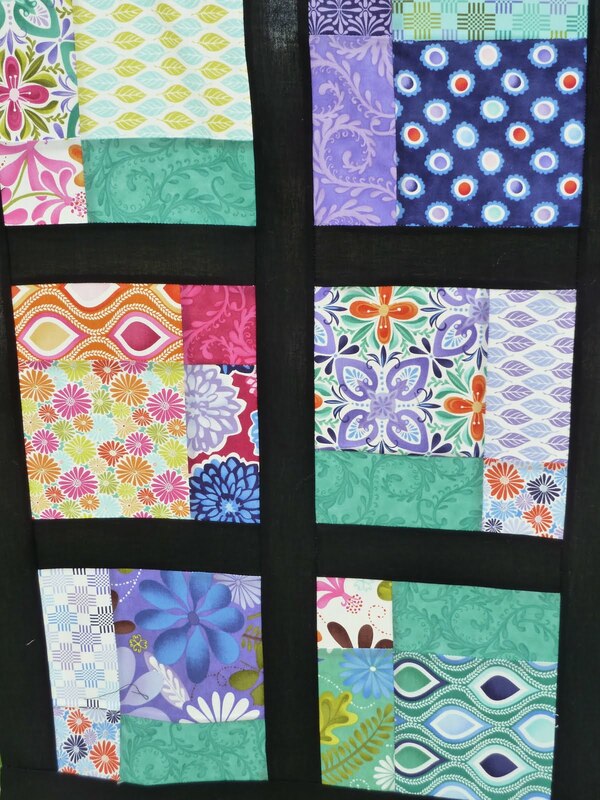 Closeup of some of my favorite blocks! The rest of the day will consist of basting and maybe starting to quilt.. now heres the problem..
How should I quilt it?! 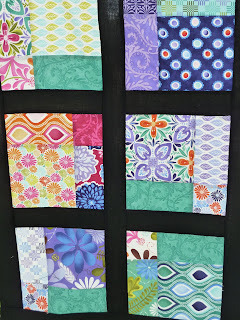 My FMQ'ing experience is ZERO, so I was figuring fallback with some straight line quilting but I'm not sure what kind.. I'm worried diagonals would be too busy and take away from the color scheme.. But then maybe just in the black sashing, too simple?! UPDATE - I decided to go with quilting in the sashing for this one and it makes a nice design on the back, so as soon as I decide on binding and get that done, i'll post some pictures - thanks for all the advice and help! Oh, that turned out so so beautiful!!! I don't think diagonal lines would be too busy at all. I actually think that would really be a pretty element! 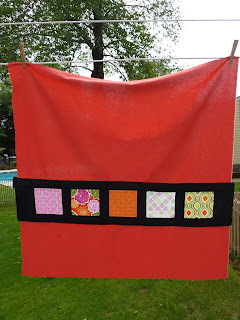 But in the sashing would be nice too! I don't think you can fo wrong here! It's beautiful! I decided on quilting in the sashing, and it came out GREAT - now to decide on my binding! haha pictures to follow soon! Jennifer! It's fantastic! 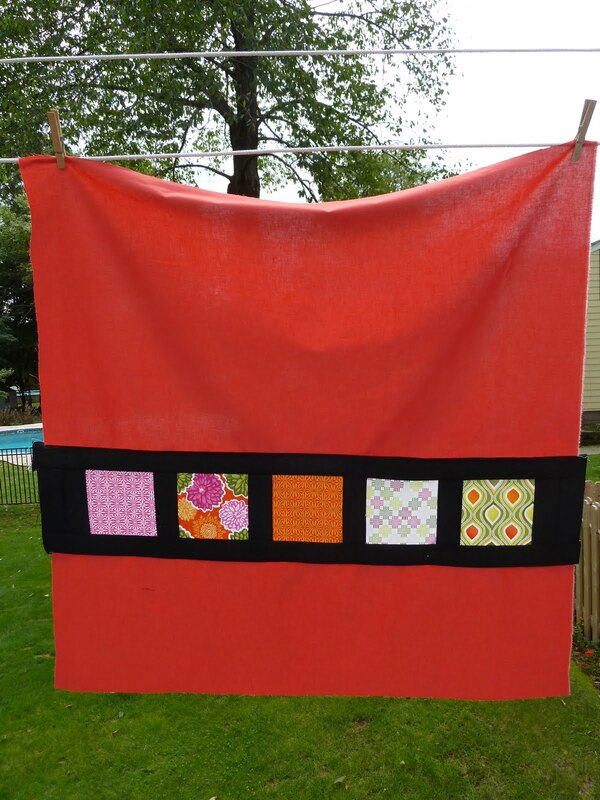 The black sashing looks great with those bright colors and I completely love the back. Can't wait to see more! This is beautiful! I really love the pieced back! 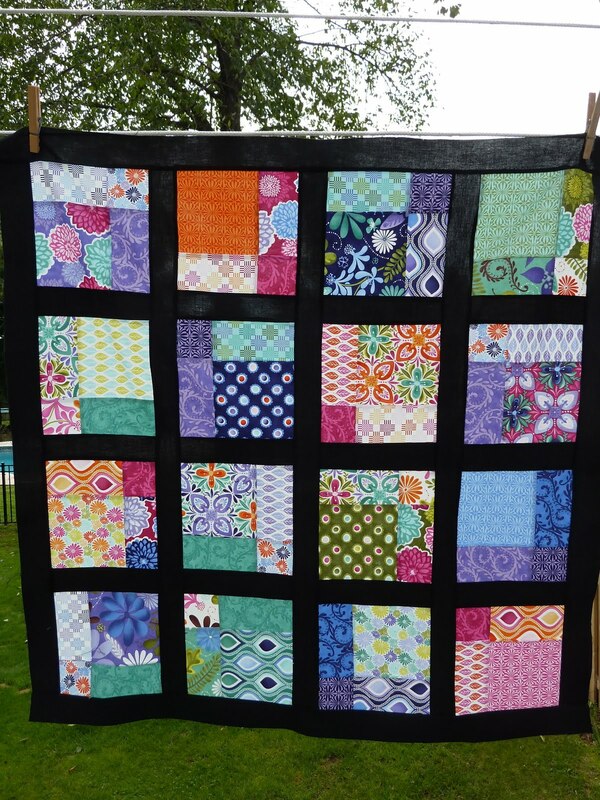 Can't wait to see the quilting!